These are your key metrics, your end game. This is truly where the money’s at for RV dealers. It’s bad if you’re too commercial in your Facebook posts. Too much “sell” and your customers will quickly be turned off. 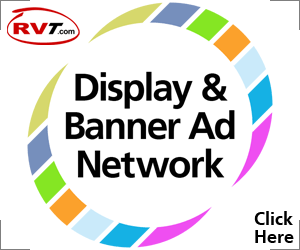 Use these instructions and install RVT’s handy “Our Inventory” Tab onto your Facebook Page. Now, when someone visits your Facebook Page – with 1 click – they’ll be browsing your RV inventory, viewing your VDPs and checking out the units you have for sale right now i.e. generally spending time on your VDPs. It’s that easy. Having an “Our Inventory” tab turns Facebook Fans into RV browsers, gets the attention of folks who actually “Like” you onto your Vehicle Detail Pages (VDPs). Be light hearted, even humorous. Who says it’s hard to monetize Social Media? Follow this simple procedure and enjoy more “VDP views” while increasing your mission-critical “time on VDP” stats. 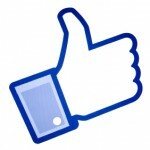 Please send me a link to someone who is using your facebook inventory app. Here are a couple of dealers who have the “Our Inventory” button up on their Facebook Pages. Having the “Our Inventory” button on your Facebook Page is a soft and non-threatening (but effective) way of converting Fb Fans and Likers to RV shoppers. It takes part of your Social Media efforts and provides a nice way of getting “eyes on Vehicle Detail Pages” or VDP’s. And, of course, “Time on VDP’s” is one of the most important indicators of whether a unit is going to sell or not. 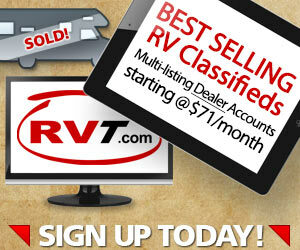 To install RVT’s free “Our Inventory” button on your dealership’s Facebook Page, use this simple procedure. Thanks Tom. Let me know how you make out. 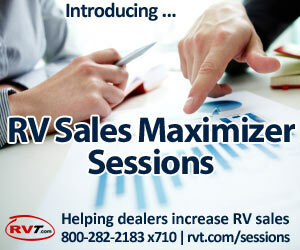 Here to help you sell more RVs.